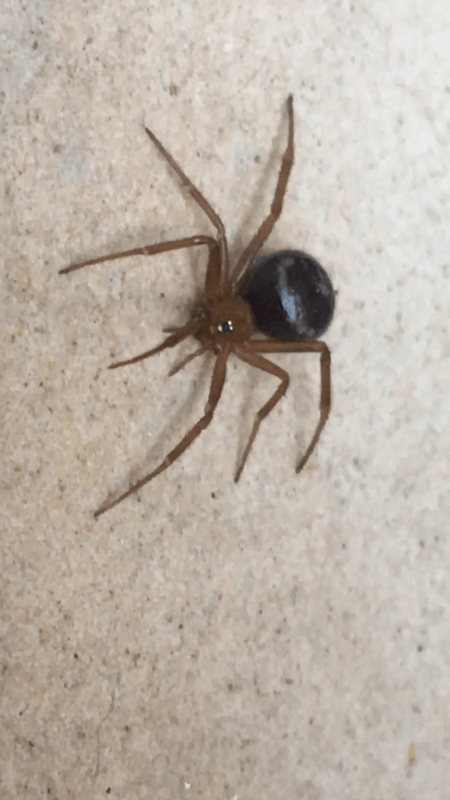 Hi, I’m trying to identify this spider and having trouble locating it. She is about a quarter size in diameter. Any help would be appreciated. Thank you. I believe she had fallen from a planter I have on my patio to the patio ground. I saw her and immediately took some photos. If you still have her I would appreciate a photo of her underside (ventral) and a photo straight down at her abdomen to look for markings and see the texture. She’s pretty big and interesting. There isn’t a way to add pics to this post, they can be posted separately. If you are able to do it please label them that they go with this spider. If it is too late, that’s okay, we can work with this photo. Hello, I have more pictures and even a short video, however I do not have pictures of her underside. I wasn’t sure if she might have been a juvenile brown widow, so I didn’t want to try and mess with her.